Áras an Uachtaráin telephone log, 27 January 1982. This post features documents from the Patrick Hillery papers, held in the University College Dublin Archives. They reveal the sequence of events that occurred on the night of 27 January 1982, when Charles Haughey, leader of the Fianna Fail Party, repeatedly phoned President Hillery at Aras an Uachtarain. The Towards 2016 video features a lecture by Professor Mary Daly (UCD School of History and Archives) on some of the fascinating 1916 material digitised as part of the Irish Virtual Research Library and Archive (now part of the UCD Digital Library). Eamon de Valera – The Chief features a photograph of Eamon de Valera in Indian Headdress from October 1919. 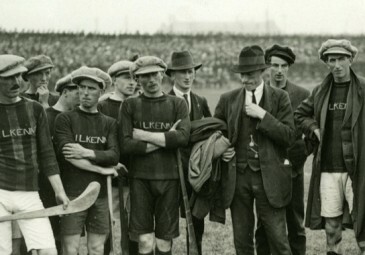 The image is taken from the Eamon de Valera papers held in the University College Dublin Archives. Fr Francis Gleeson was Chaplain to the Royal Munster Fusiliers as they faced battle on the Western Front during World War I. He kept meticulous handwritten diaries of his time with the Munsters. They contain vivid, emotional and very often tragic accounts of his time with the troops near the battlefield. The Fr Gleeson collection consists of diaries, brigade roll books, letters and miscellaneous notes. 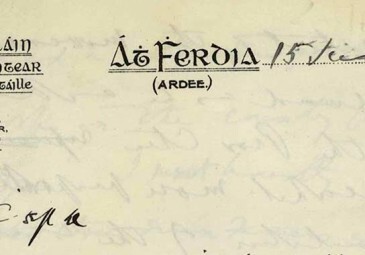 The collection, consisting of Fr Gleeson’s handwritten materials and their transcriptions, is free to view on the UCD Digital Library. The Royal College of Science for Ireland (RCSI) Library post features two videos on this unique resource which is now held in UCD Library. 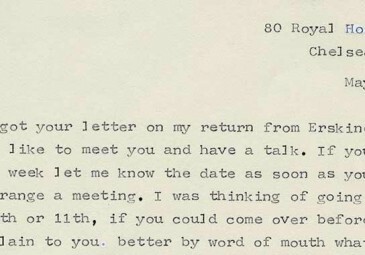 The Mabel FitzGerald Correspondence post features reproductions of letters written to Mabel Fitzgerald from George Bernard Shaw, for whom she worked as a secretary, and Ernie O’Malley. 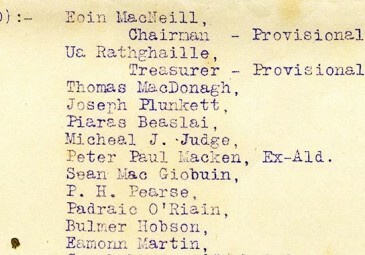 The letters are part of the Desmond and Mabel FitzGerald Papers which are held at UCD Archives. 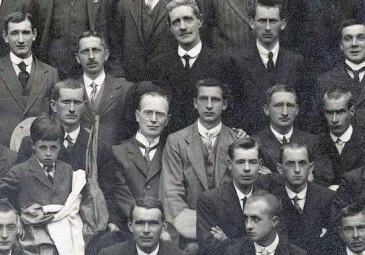 Diarmaid Ferriter’s video on the life and career of Eoin MacNeill (part of a special History Hub series – Eoin MacNeill: Revolutionary and Scholar) features a number of rare images of Eoin MacNeill courtesy of the Tierney/MacNeill Photographs and Curran Collection which are held in UCD Archives. These collections, along with many others, are available to view on the UCD Digital Library website. Our Commemoration Special: The Assassination of JFK features a number of images and documents from UCD Archives and the National Archives of Ireland. These documents include letters and telegrams between De Valera and Jacqueline Kennedy in the wake of the assassination. We also run a monthly From the Archives Centenary Special featuring documents which give an insight into events in Ireland 100 years ago.